I spent a large part of the '90s living and working in remote, rural areas of China where I helped fund development projects. Having benefitted from a good quality, (free) education I had never thought about how different the situation could be for others in the world. The experience was transformative: A moment in which I was exposed to something that would have a lasting impact on the rest of my life. Education enabled me to make the most of life's opportunities (along with a bit of good luck and timing). But for many children - and in particular for girls - just getting an education is in itself transformational. One of Credit Suisse's focus areas is education, which we view as an effective tool to deliver positive and lasting economic and social impact. But as we look back on the Millennium Development Goals (MDGs) and now look forward to the Sustainable Development Goals (SDGs), a quality education remains out of reach for millions of children around the world. Over the years, access to primary schooling has improved, but educational quality remains a major issue. And lack of gender parity in education is a big issue when children reach secondary school. This is when female student enrolment drops sharply due to various societal challenges facing adolescent girls in many parts of the world. But why should business invest and why invest in women and girls? Supporting girls is essential to lay the foundations for their future success; not only in terms of their skills and knowledge, but also to change their expectations of their own futures - which in turn is key to changing society's expectations for girls and the role that is permitted them in society and the economy. In today's interconnected world, the weak performance of one country's educational system is no longer a national policy issue contained within that country's borders. Millions of young people living in the developing world leave home each year to find employment in Europe and the U.S. For those that remain in their countries of birth, multinational corporations are moving into the region and hiring from the scarce supply of good-quality talent at ever-increasing rates. A company's contribution to the education agenda will be industry-specific. Credit Suisse, as a financial services company, understands how improving financial competencies and promoting inclusive finance for women and girls to manage the immense daily struggles they face in poverty, can change their lives. Last year we re-focused our Global Education Initiative to deliver financial education for girls in Brazil, China, India and Rwanda. The program, implemented by Plan International and Aflatoun, provides life skills training alongside financial education. Supporting financial education for girls is the result of a strategic and well-researched process addressing the multiple sub-goals of the previous MDGs and the new Sustainable Development Goals 4 and 5 on quality education and gender equality. It is also interlinked with our microfinance initiative in which financial inclusion for women (tailored products and services) is also an important component. By focusing on financial education as a financial services company we are aligning our corporate citizenship program with our core business, thereby enabling our employees to leverage their professional expertise in a targeted skills-based volunteering program we are doing with our partner organizations. Equipping girls with self-confidence, support of family and communities as well as awareness of their social and economic rights can lead to transformed futures. We hope that our Financial Education for Girls Program will provide 100,000 girls a chance to achieve better futures for themselves and their communities. 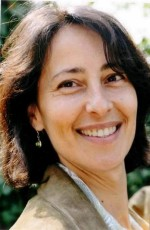 Eva Halper manages Credit Suisse's Global Education Initiative which serves as a platform for partnerships with several international not for profits working to improve access to and quality of education in the world.